They are the style of film which are not all about the big budget, use of a blue-screen; they are often the more real and raw tales of life…. The characters are not the most successful or glamourous and I guess this is often the appeal. Don’t get me wrong I love a bit of glamour and escapism, who doesn’t? 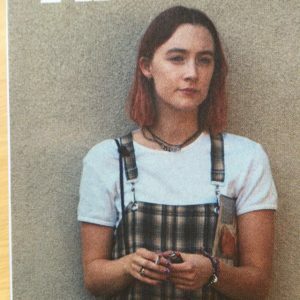 Mix this cool Oscar Nominated Director with an equally interesting young (again, Oscar nominated) actor, Saoirse Ronan and you most definitely have a ‘hit’. 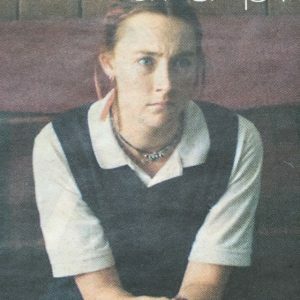 Lady Bird struggles with living on the ‘wrong side of the tracks’ – she wants to be accepted and be part of the cool, rich kids club. All of the usual teenage angst is covered really well in the movie – first love, friendships, The Prom’! 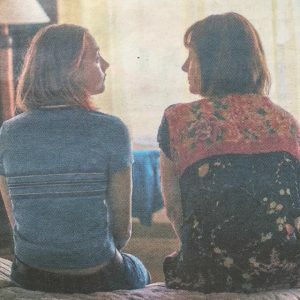 Greta Gerwig definitely has a ‘style’; charming, funny and ‘real’. I was also pleasantly surprised by the mixed audience watching the movie; groups of older women, couples, younger girls with their mum’s….. 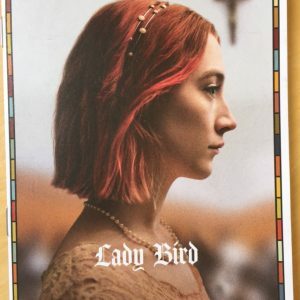 If you’ve not got your weekend planned out and fancy a little bit of ‘movie entertainment’ then head along to the cinema, get comfy and enjoy getting to know ‘Lady Bird’. Congrats Greta; let’s hope you have some more stories to share.